How have you found the living beauty program has changed your lifestyle? 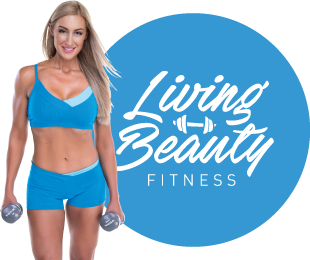 I just completed my Living Beauty program and in such a short period of time my lifestyle has completely changed thanks to Amelia’s holistic approach to wellbeing. Amelia has developed a tailored program for me that not only focuses on physical health, but also my mind, body and spirit. 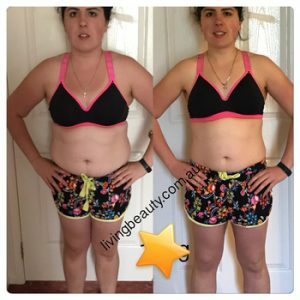 I am now eating wholesome, nutritious meals and undertaking regular exercise – which includes a variety of weight training, TRX, pilates, meditation and personal training. These changes have also helped me restore mindfulness and have a more clear and relaxed mind. This is helping me get a better quality of sleep and feel more energetic throughout the day. What results have you achieved so far? In 4 weeks my weight has decreased by 4.1kg, chest measurement has decreased 7cm, waist measurement has decreased 7cm and hips measurement has decreased 6.5cm. I am also starting to fit back into clothes that I haven’t been able to wear for years. 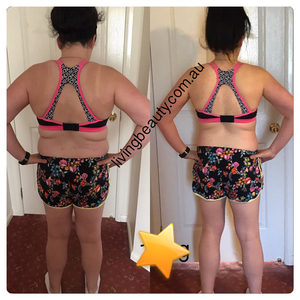 Another great result, which is not measurable with numbers, is the change I feel on the inside. I feel mentally fitter, stronger and determined. This really assists during workouts, especially when pushing through the last couple of repetitions when my muscles are burning (especially during personal training sessions with Amelia). In 20 weeks I lost 10 kilos and completed a photo shoot to mark this exciting milestone. How do you feel about yourself since this achievement? I FEEL GREAT!! My self-confidence is growing and I’m not letting my mind be controlled my self-doubt. What are your goals for the continuation of the program? What would you say to someone scared to make a start, or feeling they are unfit? I would tell them that no matter what their doubts are and/or physical limitations, it is never too late for them to change their lifestyle and invest time in themselves to make health and wellbeing a priority. Once they get started and make it a habit, they will ask themselves why they didn’t do it sooner. I keep asking myself this question all the time.